If you’re a blogger you’ve seen the Blog-tember challenge going around. I’ve loved keeping up with everyones new posts and thought it would be fun to join in today. Also having a bit of writers block this morning. The question for today is: If you could switch lives with someone for a day, who would it be and why? So here I sat thinking about all the famous people I’d want to switch lives with for a day. Because let’s cut the crap, no one says they want to switch lives with someone who isn’t just a tiny bit famous. So I started thinking. Can’t lie and say a Kardashian didn’t enter my mind. Judge me. Then I thought about someone like Donald Trump, then I got tired. Kate Middleton popped into my head, hello princess, but then I thought it was too much. And then. Joanna Gaines popped up. Here’s the thing about Mrs. Gaines. I love her. Everything about her. Her love for Jesus, her love for her family, and can we please talk about her wardrobe for a minute? Every time I watch Fixer Upper I want to know exactly where she got her clothes so I can go find the same outfit. It’s always simple but so well put together. And she’s cool enough to pull off dangly earrings. And obviously her children are old enough and don’t grab them. I don’t have a really big decorating bone in my body so it would be cool to switch lives with someone who’s DNA is composed of nothing but that. I’d pick up tips, and some shiplap. And then obviously would come back and make my home beautiful. I’ve never seen or read a bad thing about her online, and that speaks volumes about her character. A working mama with style? AND she loves the Lord? Yes and yes. I picked her too. There’s is such so much I admire about her! She is such a lovely lady of God! And how much more adorable could her family be?! Right?! I just honestly love everything about her! Good choice!! I think I would pick Candace Cameron Bure! Yes! Such a great pick, she’s wonderful too. And who doesn’t love Full House?! This is such a good choice. 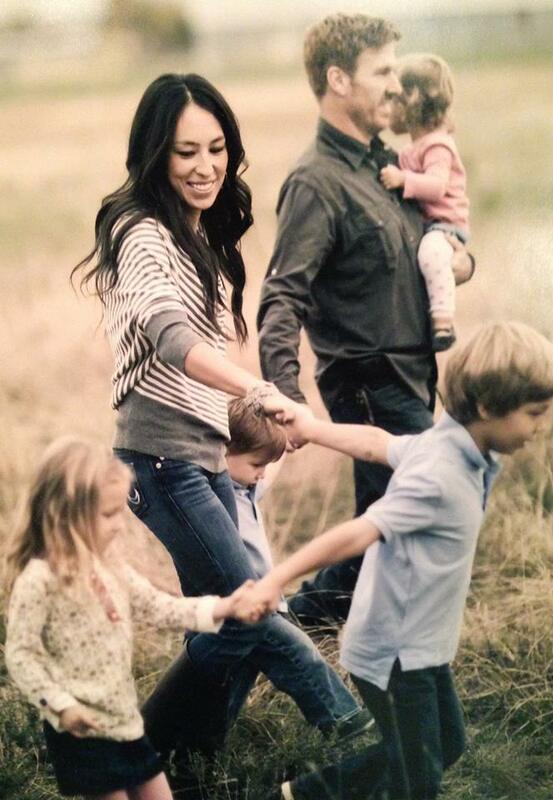 She is a great role model, and her family looks so sweet! She really is. And like I said…her clothes! She’s just all around such a gem!